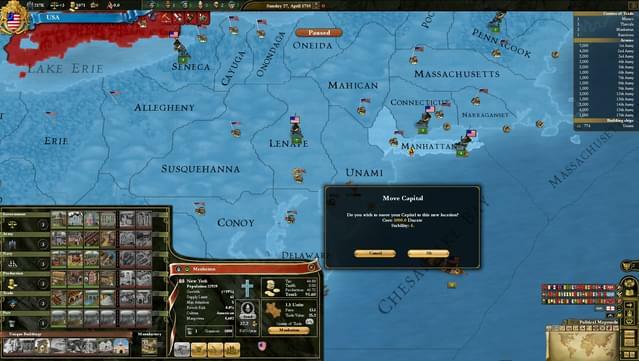 - Intriguing Casus Belli system, where wars have specific goals from start to finish. 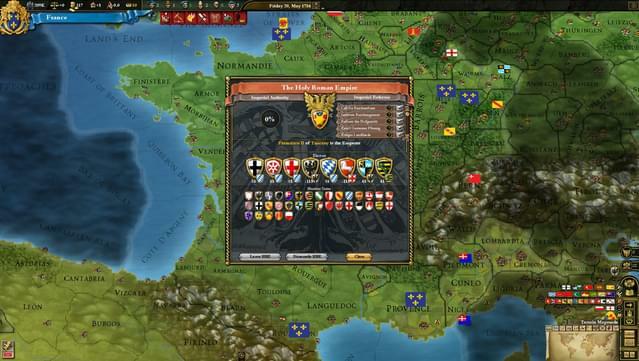 - Monarchs now belong to dynasties, with far reaching effects on the diplomatic model. 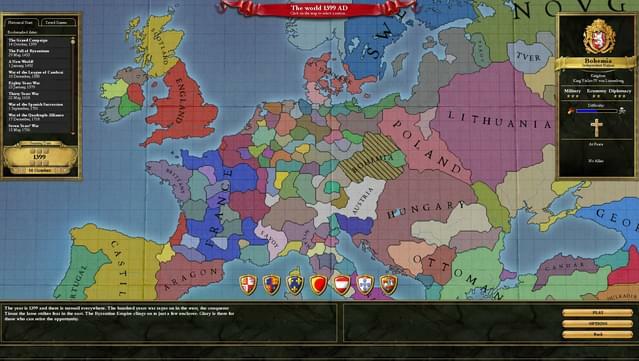 - More involving and powerful Holy Roman Empire and Papacy options. 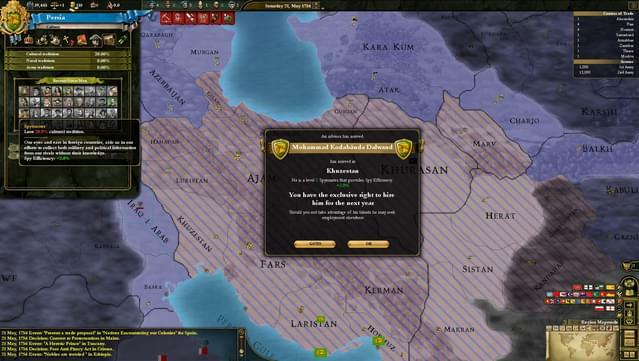 - Special diplomatic options for Republics. 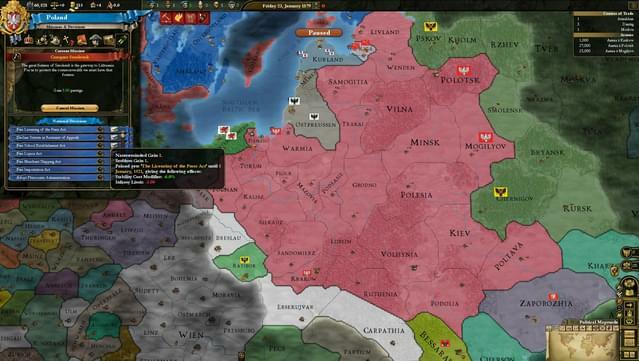 - Set your National Focus in a province to enhance growth and strengthen your hold in the region. 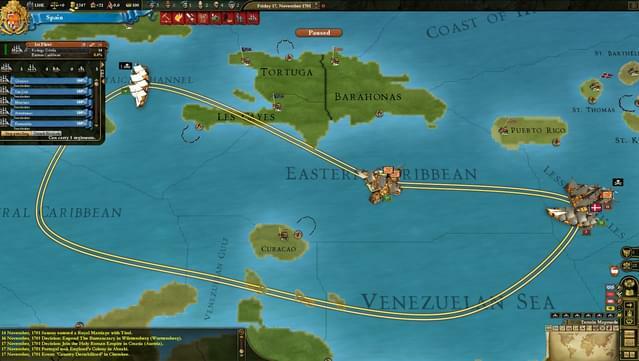 - Permanent Terra Incognita removed and replaced with impassable regions. - Cultural Tradition allows better advisors in the same way that Military Tradition allows better generals and admirals. 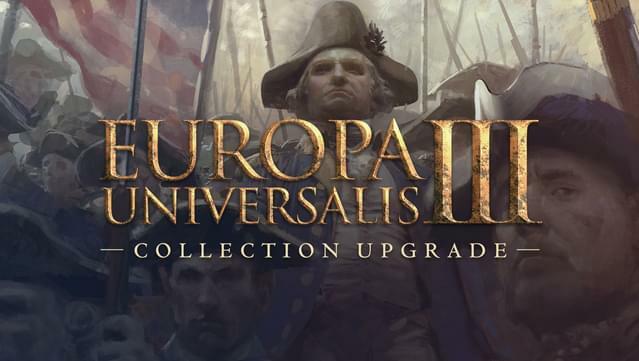 - Many other additions and improvements. 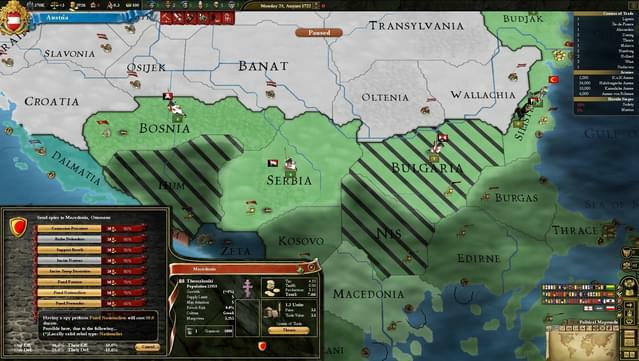 - New graphical style, with detailed and beautiful maps, including lots of new provinces. 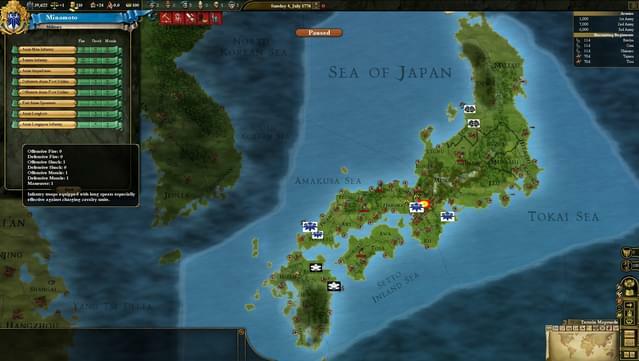 - Play as any of the four major daimyo’s in Japan and vie for influence over the Emperor and control over the Shogunate. 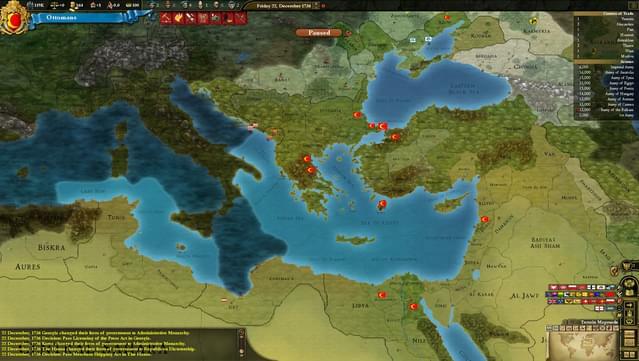 - Enhanced diplomacy, with more options for alliances and peace negotiation. 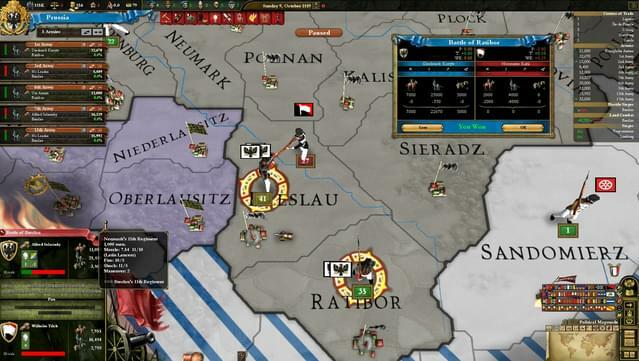 - Dozens of new types of buildings, where you have greater control over the development of your provinces. 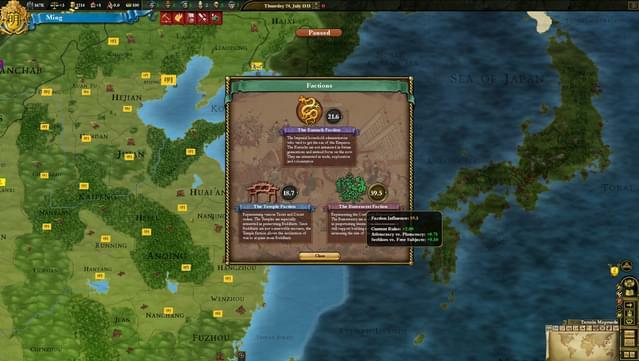 - More realistic development of trade, with control over strategic resources giving bonuses. 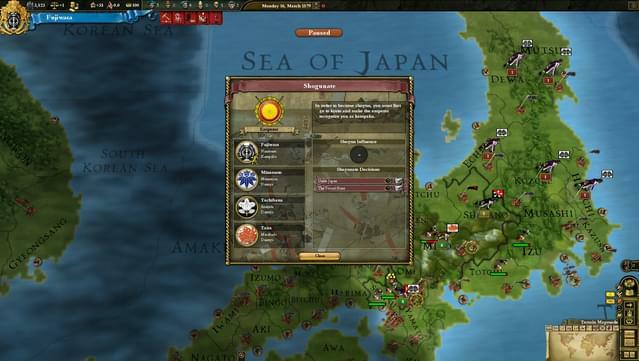 - Manage the internal factions in China to keep the Mandate of Heaven.